Flickr Group - Post your blocks here! 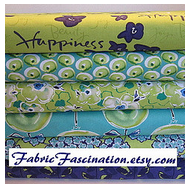 My Fabric is For Sale! May For Me - BINGO! This is a Flickr badge showing public photos and videos from KimsCraftyApple. Make your own badge here. New Design with Lots of Humor! Time to apply to the Eleventh Annual Holiday Craftacular! 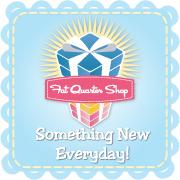 Come visit our new blog! I’m having so much fun seeing all the blocks come together on my design wall! I’m ready to have ALL 16 done – but alas…we’re only on block 4. Good think it’s a fun one! Typically I would ‘introduce’ you all to our block designer but since Barb is a sponsor for Project QUILTING I already introduce her (and her new granddaughter) to you all this past Sunday, HERE. So instead, I asked her some questions about the fantastic Quilt Retreat she runs every November. Details of Retreat – Our retreat will be help from November 9 – 12, 2012, at the Quality Inn Ballroom in Mineral Point, Wisconsin. How many retreats have your taught/organized? This will be the 10th annual fall retreat sponsored by Quilts by Barb. We also held an Extravaganza Weekend in February for 3 of these years. Why did you start doing retreats? Diane Lapacek, my main quilt retreat teacher, and I saw a need for educational, fun quilt retreat weekends. There are a lot of retreat centers and guild retreats around the tri state area but few that provide good quilting education along with their program. We envisioned everyone learning from not only us, but from each other. We encourage participants to bring projects they have at home that they can use additional help with. What makes your retreat special? We are an educational, hands on retreat. We don’t just get together to sew and quilt although we do a lot of that. 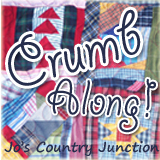 Our Yard that Keeps on Going…… has been talked about in the quilting world. If you come to the retreat, you get to participate. Our program has become well know in the tri state area as one of the best. Marcia of Marcia’s Crafty Sewing and Quilting with her Quilt, Imaginary Blooms from her Yard that Keeps on Going at Show and Tell. What is the project for this year? Our main project for 2012 is “Celebrations” by Marilyn Foreman. I have added a twist to Marilyn’s pattern (with Marilyn’s permission and blessing!) and incorporated a kaleidoscope feature to some of the blocks. The quilt is large, makes up quickly but has a lot of WOW! factor when completed. It is one of my favorites. 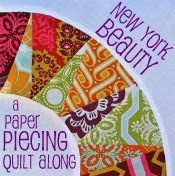 We also always offer “Starry Nines” for Beginning Quilting 101 or people who just want to refresh on the basics. This is an original pattern by Diane Lapacek and we teach them how to rotary cut, sew an accurate ¼” seam, proper pressing, applying borders, etc. They leave with a lap quilt almost completed and they are all so great! *side note* this is the pattern that i used for my very first ‘real’ quilt – my Aunt owns it now and I get to see it every Christmas. It’s a basic quilt but you learn LOTS of good tips and tricks. AND Diane is the most patient teacher you will ever learn from – trust me! She puts up with me! Diane and I are both so excited about our 10th Anniversary. Wow, where did the years go?! We are in a new location this year and the facility is beautiful. Mineral Point is a very historic town and has lots of great shops. I would suggest coming early and visiting them. For more information, visit my website at www.Quiltsbybarb.com If you have questions email me at Barb@Quiltsbybarb.com I would love to answer them for you. 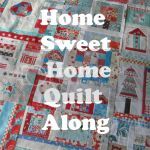 Check out Barb’s Blog: http://www.quiltsbybarb.blogspot.com/2012/01/home-sweet-home-quilt-along-with-kims.html for detailed instructions! 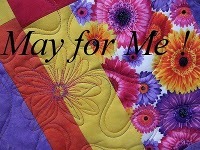 And be sure to ‘Like’ QuiltsbyBarb on Facebook to see what’s going on in her quilting world! Modern Solids Quilt Along – FINISHED! Outdated Technology – I need YOUR help! 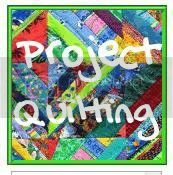 Project QUILTING – Season 3 – PRIZES!